The curtain has fallen on Didier Drogba’s storied career – but the Ivorian was unable to add one final trophy to his extensive silverware collection. 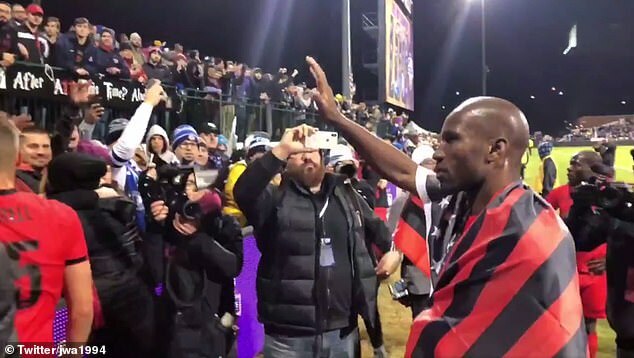 His Phoenix Rising team were beaten 1-0 by Louisville City in the USL Cup final on Thursday night as the 40-year-old was denied a fairytale finale. 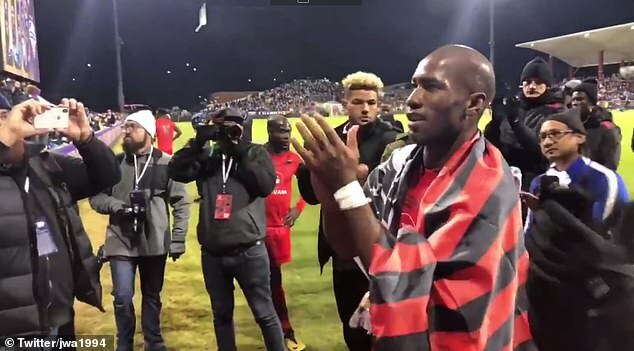 Drogba had scored three goals in three games to steer Phoenix through the play-offs in America’s second tier, but wasn’t able to prevent Louisville retaining their title. A second-half goal for Luke Spencer proved the difference as he scrambled the ball home after a succession of blocks and deflections inside the Phoenix penalty area. Drogba, who is also a co-owner of the club, announced back in March that this season would be his last. He scored 157 goals in 341 appearances during his first spell at Chelsea between 2004 and 2012, winning three Premier League titles and the Champions League. The striker added another league title when he rejoined Chelsea in 2014-15, having played for Chinese side Shanghai Shenhua and Turkish giants Galatasaray in the interim. From Chelsea, he joined Montreal Impact before moving to Phoenix last year. Drogba scored 10 goals in 14 matches during his debut season in the United States before adding five goals in nine regular season games this campaign. Fellow owner Berke Bakay thanked Drogba for his ‘amazing contribution to the beautiful sport’ after defeat in the final. Having hung up his boots, Drogba will now enter the boardroom at the club.